Place and health has a long tradition. The birth of modern spatial analysis of disease is often credited to John Snow’s London cholera map (sidebar: on our honeymoon to London, I took my wife on a public health pilgrimage to the Broad Street pump and nearby John Snow pub). Check out the WHO’s health mapping site to get a sense how far it’s come. Couple of interesting links on mapping. Mapunity (short for MAP for commUNITY) is a social entrepreneurship venture that is creating a Geographic Information System focused on socio-economic change. Web 2.0 versions of social mapping exercises we used to do in the Peace Corps that overlay social networks and two dimensional representations of the physical world … Check out Tulapo.com as one of a thousand examples of ‘mash-ups’ (how early 2006). Finally social maps as networks uniquely located in cognitive space… Xigi.net is one of several sites offering “mind mapping” approaches to organizing knowledge. Popular example at the SocialEdge. Postscript – A quick nod to a fun Feb 6th post at PSDblog “Development 2.0” on dev-tech ‘what-ifs’ . The comments are definitely worth a read too. 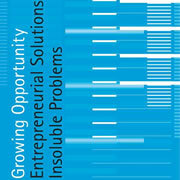 Yesterday at the Skoll World Forum a new report, Growing Opportunity, was released. I thought readers would be interested in their survey on social entrepreneurship, but I would only skim the health chapter as I found it lacking. “WASHINGTON, Mar. 29, 2007 — Renewable energy, affordable and effective health care, and fighting climate change are just three of the major global problems currently being addressed by a new model of entrepreneurship, according to a new report by SustainAbility…Drawing on the results of a survey of more than 100 ‘social entrepreneurs’, “Growing Opportunity: Entrepreneurial Solutions to Insoluble Problems,” explores how business partnerships with these ‘social entrepreneurs’ offer benefits to both companies and communities.” Full press release. This is the first report in what will be an annual series. If you don’t have time to read the report, you can find the key conclusions here. For a full copy in PDF version goto the GreenBiz website. I have no idea what this means and am not sure it is even true. It depends what part of the private sector? If we are talking about big pharma, sure, but that is only one piece in the healthcare delivery machine. And as far as non private sector options, there is equal if not more distrust and doubt in parts of governmental run healthcare whether that is in the US (the Walter Reed scandal comes to mind) or abroad where in many countries people purchase most of their healthcare from the private sector. For a sector/industry as complex as healthcare this quote is far too vague and general to be of any use. The lack of citations/references was also a bit troubling to me. I had other problems with the health chapter (email me if you want to hear additional thoughts), but that shouldn’t take away too much away from the overall report. I would still check out the survey portion. For another perspective on the overall report see Joel Makower’s thoughts. Nancy Birdsall, president of the Center for Global Development, will be online tomorrow from 11am-12noon EST answering questions about globalization and inequality. Yesterday, she testified before Congress and challenged us to think beyond the “world is flat” characterization: “But the world is not flat. Those of us on the top, with the right education and in the right countries, can easily overlook the countries and the people stuck in deep craters across the global landscape.” (video available on the CGD website). This looks like a very cool opportunity and way to reach your audience. Ask a question ahead of time for the online chat. Lately there have been some interesting connections with projects on social entrepreneurship and I wanted to drop three links here. Yesterday I met with folks at the Rainer Fellows program in San Francisco. They provide a formal framework, training, and mentorship for young social entrepreneurs engaged in health and conservation. The National Peace Corps Association recently started a podcast series with the SocialEdge (a Skoll Foundation program) focusing on social entrepreneurs who served in the Peace Corps. Great interviews with former PCVs doing everything from transportation to civil society to conservation. The March 26th interview with Carl Pope, director of the Sierra Club and former Peace Corps Volunteer in India (1967-69) is engaging. The Kiva.org folks are featured on the New York Times. Check out the Nicholas Kristof NYT video. Unite for Sight, April 2007 – Is anyone attending? We may be going, email us if you want to meet up. The folks at UToronto have put together a conference on Private Sector involvement with a heavy dose of biotech and global health. They have a blockbuster lineup including CK Prahalad, see the PDF Flyer for more details. Maybe someone can suggest a mock “celebrity death match” between the CK and Karnani at one of these conferences, I bet that would garner a huge turnout. May 2-4 2007, MaRS Discovery District, Toronto: A three-day conference organized by the McLaughlin-Rotman Centre, Program on Life Sciences and Global Health at the University of Toronto, bringing together leaders from the global health community and executives of biotechnology firms from India, China, Brazil, South Africa, Canada, and the United States. The opening day will feature discussions on innovative business and financial strategies for stimulating development of health products for the developing world. March 28th Update: This is Ben with a short addendum to Aman’s list. There’s a conference in Delhi April 12-13th organized by KfW, USAID/India, Packard Foundation and PSP-One called Vouchers for Health: Increasing Access, Equity, and Quality. I plan to attend and cover it for the THDblog. Subscribe via email to this blog. There are a slew of conferences coming up. Here are a couple that are focused on global heath technologies and more specifically on point of care tools. For a background on this type of technology see this Nature article on global health diagnostics where they state: “Access to appropriate diagnostic tools is an essential component in global health. Diagnostics are crucial for identifying the presence and cause of disease at both the individual and population levels, correctly assessing the nature of disease, designating an appropriate course of treatment, monitoring the effects…” For details on what some of these technologies are, see the last device on the page of the Paul Yager Research group. Technologies are becoming available that will enable point-of-care assays that are rapid, accurate, and easy to use. The development of assays for applications in cardiac treatment, cancer, endocrine, immune disease, infectious disease will be highlighted, as well as the demand for generating reliable data and reducing costs associated with these tests.